Saveca has a contest for Super Bowl coming up! 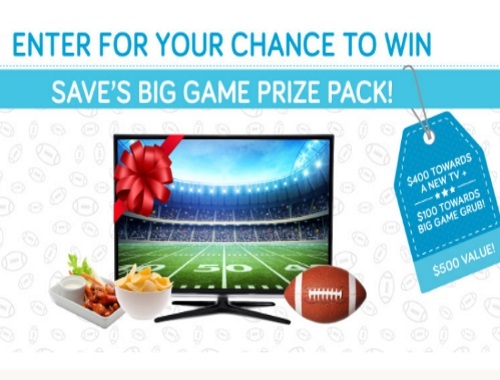 Enter for a chance to win Save's Big Game Prize Pack! Prize includes $100 Loblaws gift card and $400 Best Buy gift card. Contest closes January 29 2018 at 3pm ET.